Google released new statistics about Android OS versions on smartphones for October, however, 9.0 Pie is still nowhere to be seen since it powers only 0.1% of Android phones. There is a significant increase in Oreo version users, since most newly released devices (21.5% overall) run on this stable firmware. This number is surely boosted by Android Go program which brings optimized Oreo on entry level phones and enables them to work smoothly. 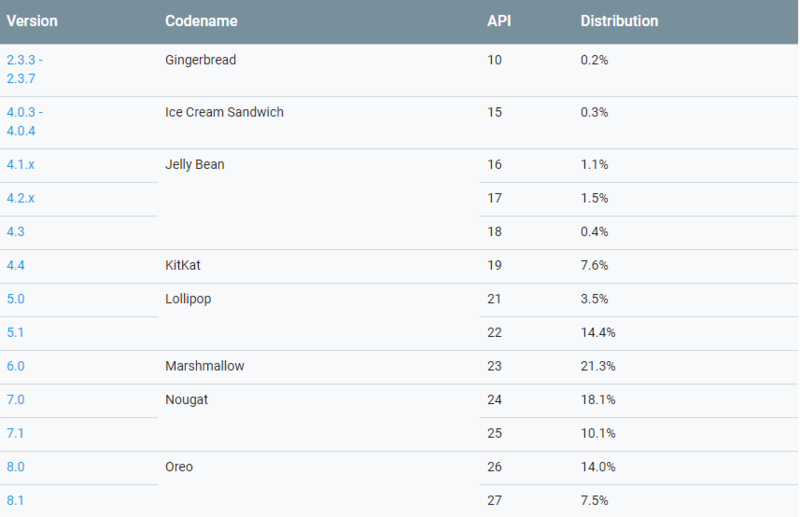 When it comes to older versions, each month there is a small drop, but Nougat is still the most popular with 28.2%. This infomation is gathered through Google Play store during a 7 day period which concluded on October 26.